It’s the Fourth of July and the sun is shining. It’s a miracle! 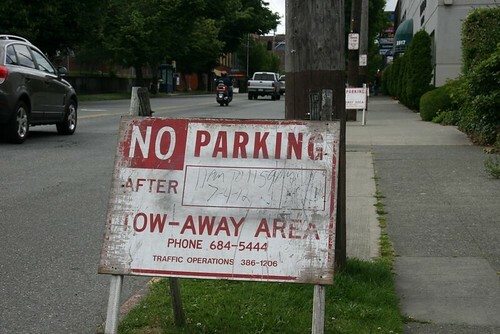 Parking: The parking ban on Eastlake Avenue E. began at 11 a.m. Don’t try to park along Eastlake or you’ll get a ticket and probably get towed as well. 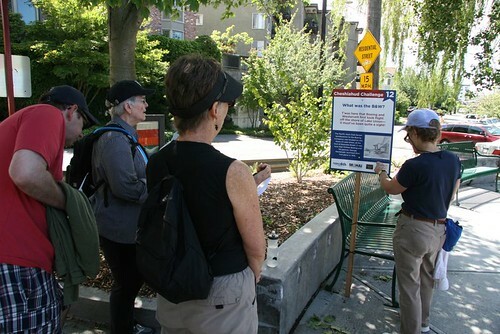 More information on the Seattle Police Department’s plans for parking can be found in our previous post. 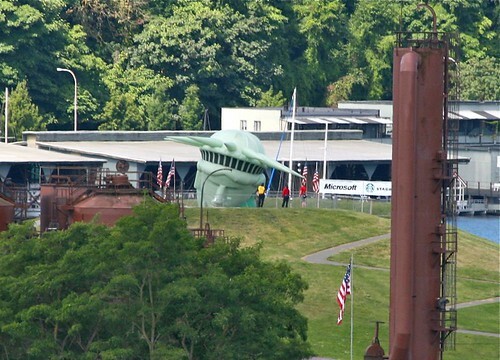 I-5 ramps at Roanoke, Boylston and the southbound exit at Mercer will be closed at 9 p.m. and won’t reopen until after the fireworks are done at about 10:30 p.m.
Cheshiahud Challenge: The Museum of History and Industry has put together a history quiz geared to the Cheshiahud Lake Union Loop trail. Walk the trail, stop at the spots marked on the map and answer a history question. Leave your completed form at the MOHAI booth at South Lake Union Park or the information booth at Gas Works Park and you’ll be entered to win two three-day Gold passes to Bumbershoot. More information on the challenge is at the MOHAI website. You can also download the map there. Businesses open in Eastlake: Numerous businesses are open in Eastlake today, including several places to eat and get a drink. Check our previous post for more information. There’s a yard sale going on in a parking lot on the east side of Eastlake in the 2700 block. They’ll be there until about 4 p.m.
Have a great — and safe — Fourth of July! This entry was posted in Uncategorized on July 4, 2012 by cdmilton.